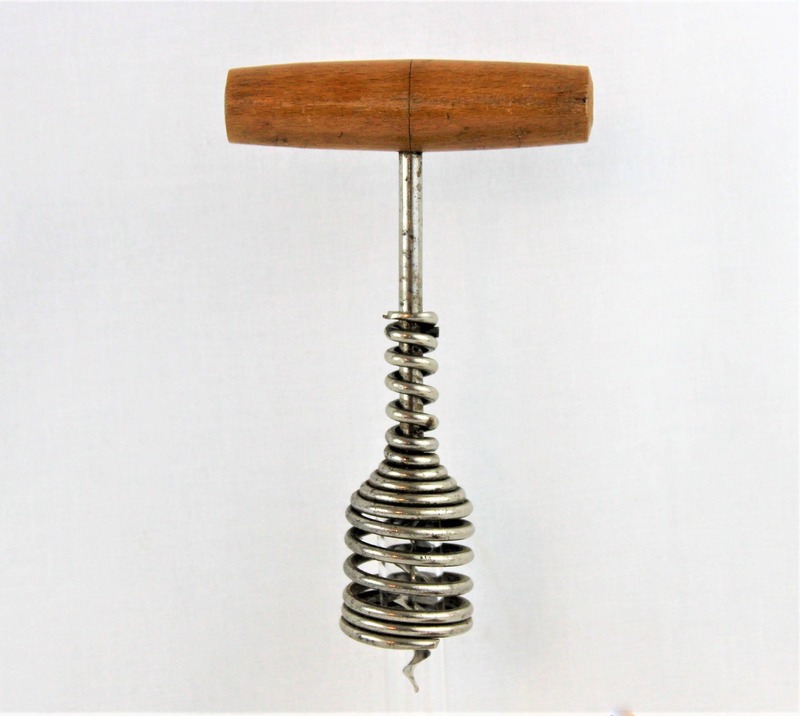 We have for sale a Antique Hallenberg Spring Barrel Corkscrew. 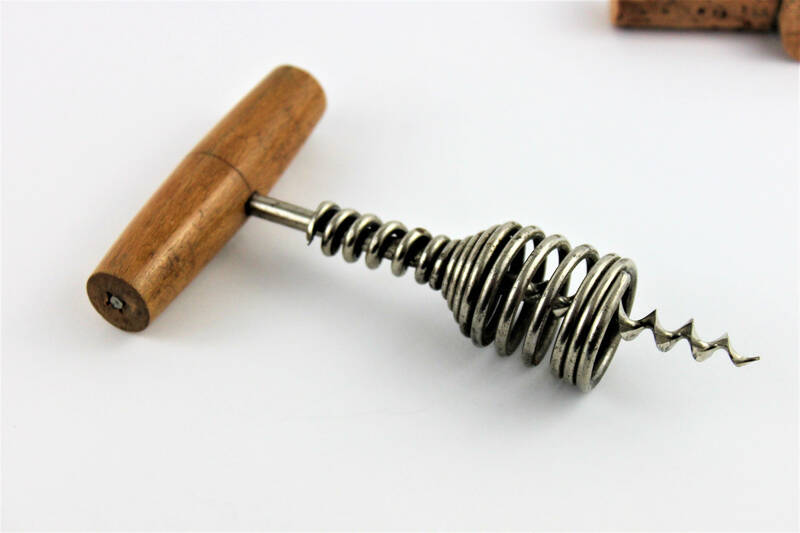 Wonderful German spring barrel corkscrew with wooden handle. 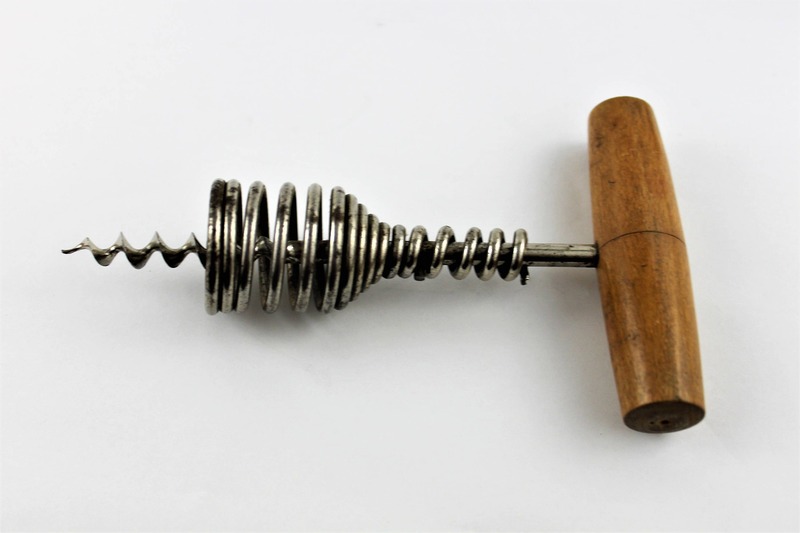 This very practical design was well thought through the spring works as a tension pull the more you drive the worm (screw) into the cork the more tension on the spring which will start pulling the cork from the bottle. 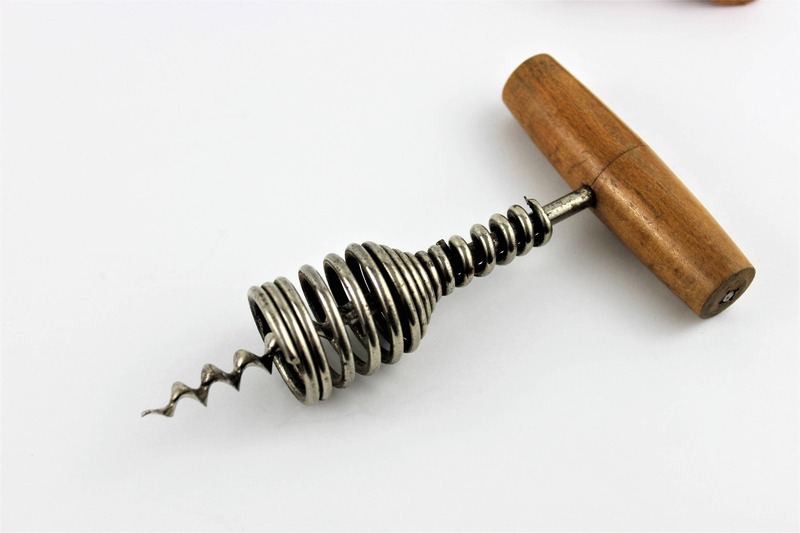 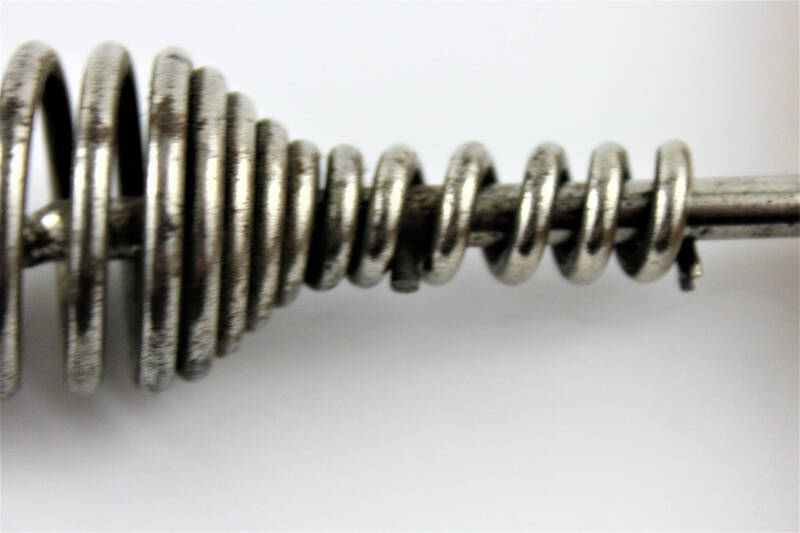 The corkscrew has a long bladed worn (screw) which cuts through the cork with ease the spring barrel screws up and down on the main shank. 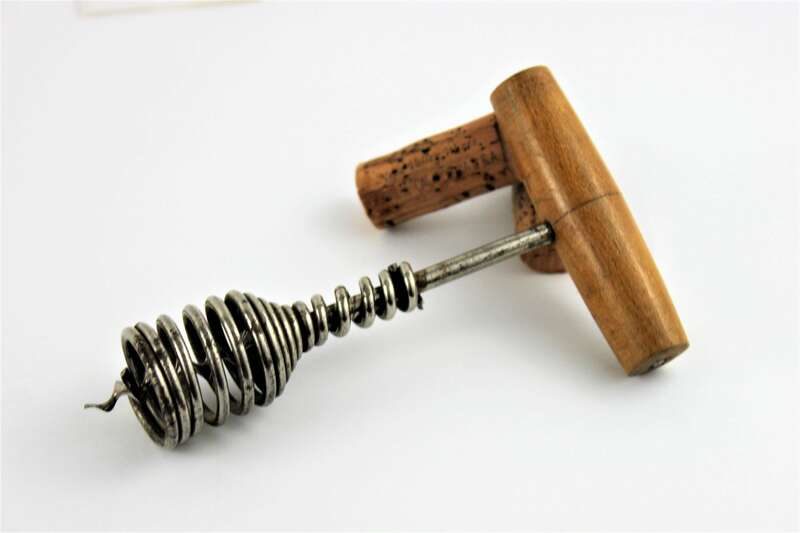 You will move the spring toward the blade of the shank when removing the cork from the bottle once the cork is pulled, you will move the spring toward the handle to allow access to the pulled cork to remove it from the corkscrew.